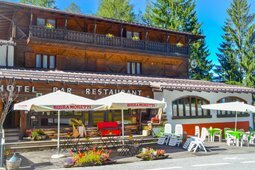 La Moretina is a traditional mountain-style building in Val di Sole, 300 m from the ski lift Daolasa - Val Mastellina. It offers modern apartments with mountain view. The house offers two-room apartments as well as three-room apartments. 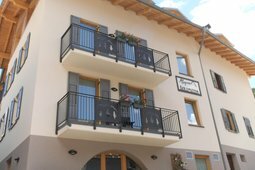 This is the ideal place for a great holiday in the heart of the Dolomites, directly in the city center of Folgarida, just a few kilometers from Madonna di Campiglio and Dimaro. A paradise, perfect for relaxing walks in the nature of for adventurous summer getaways. 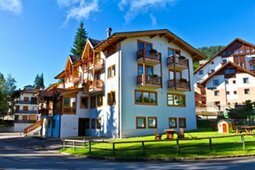 Apartments Lithos is a holiday house located in the heart of the Val di Sole, in Dimaro, one of the main tourist towns of the area just 15 km from the renowned Madonna di Campiglio. The valley offer plenty of entertainment opportunities both in summer and winter. The Hotel Gran Baita is the perfect accommodation for groups and families! Spacious and quiet rooms, all equipped with TV, telephone, safe and bathroom with hairdryer and shower. The cuisine offer simple, but tasty dishes, rich in traditional flavours and pleasant aromas. Follow the Naples pickup with noit! Welcome! 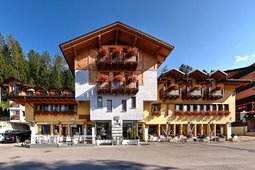 Hotel Dimaro is located in Dimaro in Val di Sole, a charming Trentino valley, at the foot of the Brenta Dolomites. 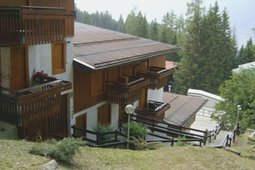 This hotel near Folgarida is about 5 minutes from the ski slopes of Folgarida-Marilleva-Madonna di Campiglio. 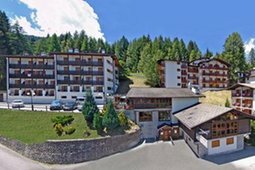 You will find the hotel in a breathtaking mountain location, in the heart of the Brenta Dolomites, 700 m. from the Daolasa cable car connecting to the ski carousel of Marilleva-Folgarida-Madonna di Campiglio and near the mountain bike tracks of the 2008/2016 world championships. Hotel Fantelli, your home in the mountains ... The Hotel Frantelli is glad to welcome you and give you the opportunity to spend a wonderful vacation immersed in the enchanting scenery of the Brenta Dolomites. 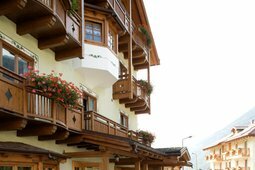 Friendly and simply refined, Hotel Dolomiti is the ideal place for your holiday in the Dolomites. In winter the snow covers the picturesque mountains, in summer the flora of the National Park of Adamello blossoms into a spectacle of colors and vitality. The RTA Alpin Dolomites is a residence, built with the best materials and the most modern technologies so as to combine the tradition of mountain hospitality with modernity. Let yourself be amazed, an oasis of unexpected comfort will overwhelm you! Comfortably reachable thanks to a cable car for 6 people, Hotel degli Angeli boasts an amazing panoramic view on the Brenta Dolomites and is located on the ski slopes of the Folgarida-Marilleva and Madonna of Campiglio skiing areas. 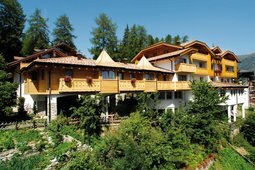 Mountain holidays are not all the same: if you are looking for a hotel combining the intimate setting of a family run company and the services and comfort of a hotel, AlpHotel Taller in Folgarida is just what you need. Surrounded by an imposing mountain range, the Hotel La Noria is committed to offering you moments of happiness in an uncontaminated environment not far from the rafting center, the walks and the start of mountain bike tracks and paths. 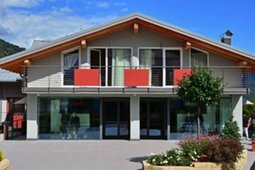 The Hotel Vecchia America, a few meters from the ski slopes, offers all the amenities and service you need for a ski vacation, with the special warmth and attention of a family business. Friendly staff, excellent cuisine and a fully stocked bar. A friendly and attentive staff is ready to satisfy all your wishes with dedication and kindness. The hotel is located in Folgarida in Belvedere area, easy to reach by car and public transport. 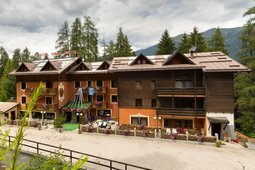 A typical mountain hotel, family-run since 1970, which offers a warm and lively atmosphere and is located centrally, only 180 mt from the starting point of the lifts which connect the village Folgarida to the ski area Marilleva-Madonna di Campiglio Pinzolo.